Walker Everett spends his days at the Crossroads Ranch wrangling cattle-and steering clear of anything that would complicate his already too-complicated life. 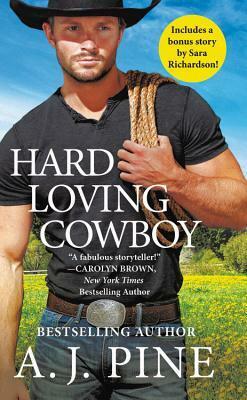 Until Violet Chastain, the ranch’s newest employee asks him to pretend to be her boyfriend for her parents’ anniversary party. She’s the most beautiful woman he’s ever met and needs his help. How can he refuse? 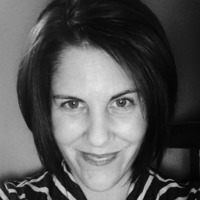 About the author: A teen librarian by day and a romance writer by night, A.J. Pine can’t seem to escape the world of fiction, and she wouldn’t have it any other way. She’s the author of the If Only series (Entangled Embrace), the Only You series (Berkley/Intermix), the Kingston Ale House series (Entangled Select), and the Crossroads Ranch series (Forever Romance). When she finds that 25th hour in the day, she might indulge in a tiny bit of TV where she nourishes her undying love of vampires, superheroes, and a certain high-functioning sociopath detective. She hails from the far off galaxy of the Chicago suburbs.